Have you come across any signs on the road or elsewhere that really scare you? This is a photo taken on a freeway near San Francisco. 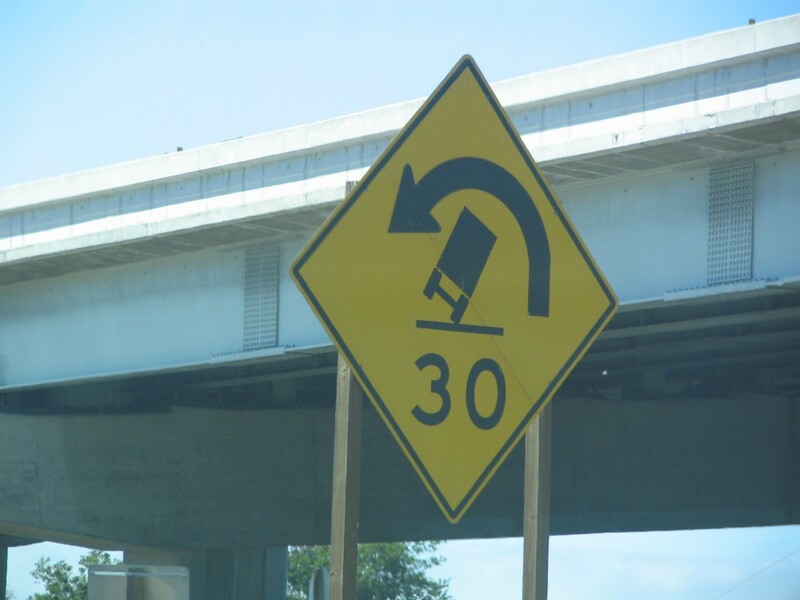 It is not a very uncommon road-sign and can be seen on several roads where there are sharp turns. I am sure the drivers of trucks feel very confident looking at such signs and the people passing them feel even more so. 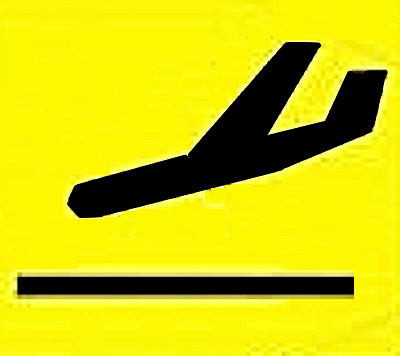 Here is another that looks less risky, but when you think about it in a certain way, this sign at an airport sure looks like the plane is going to nosedive rather than arrive. Thanks to Haldar for pointing these out. Previous One Ring to rule them all?